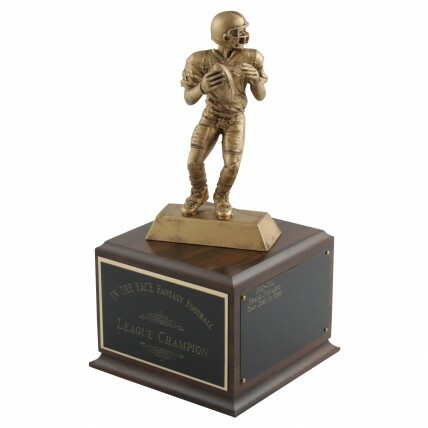 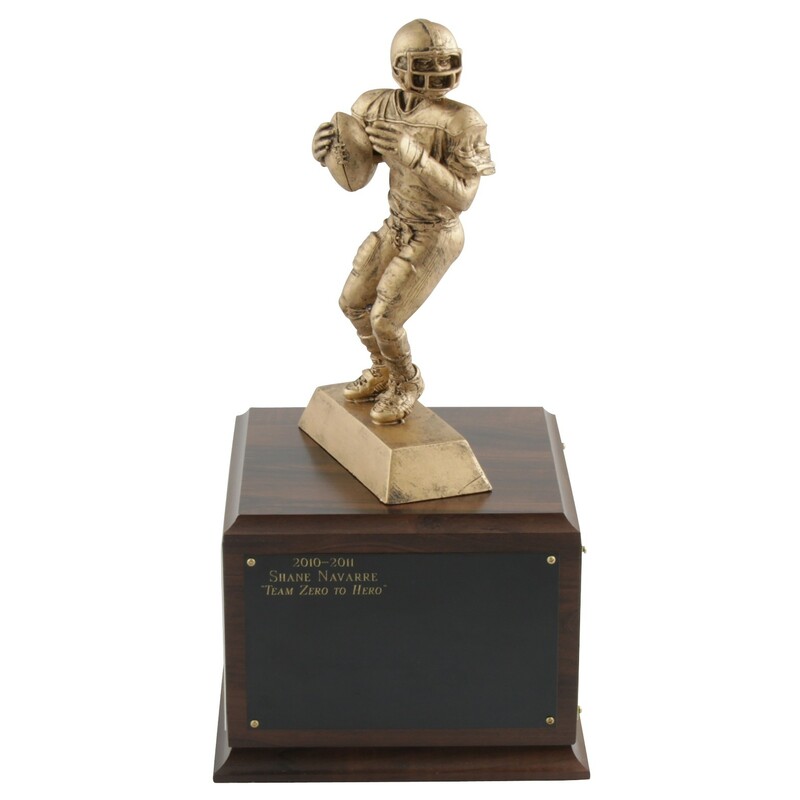 These Fantasy Football Perpetual Quarterback Trophies are designed to memorialize your league winners for years to come! 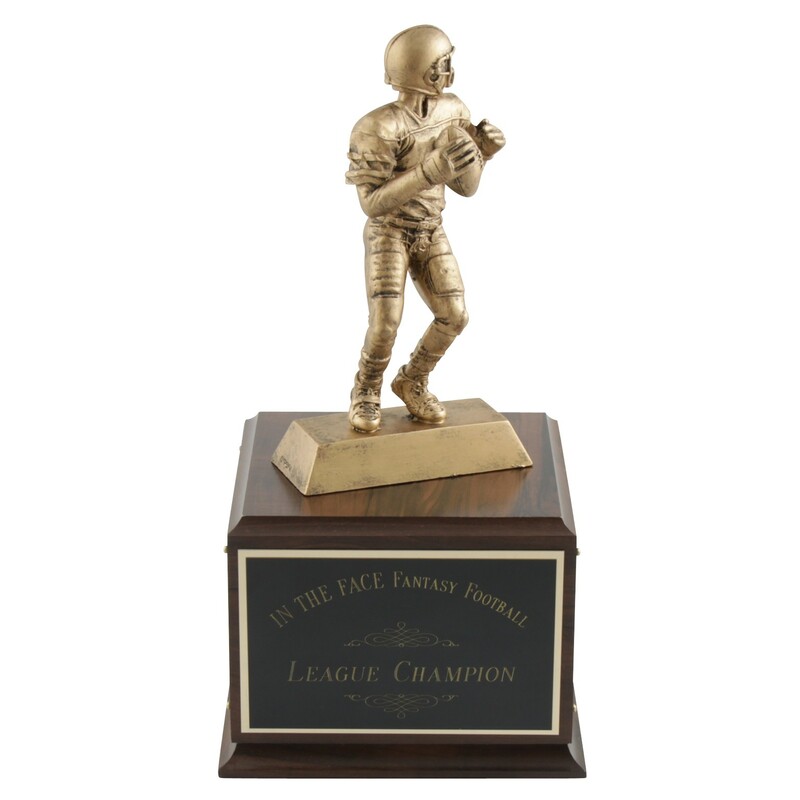 The top features a resin quarterback figure that resembles a cast bronze statue. 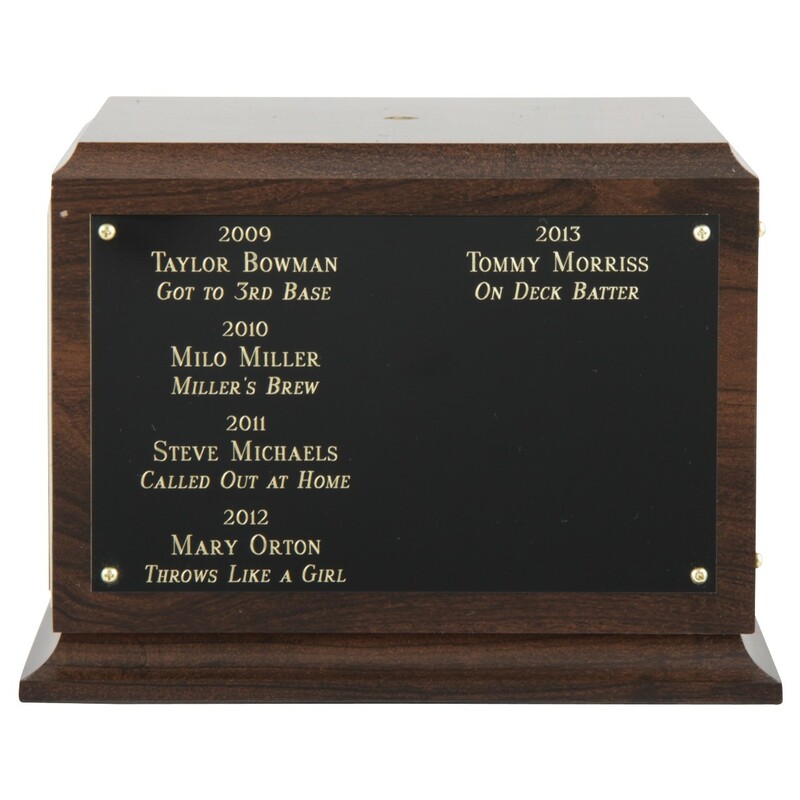 Your league name and information will be engraved on the front of the wood base and the remaining 3 sides can have optional blank plates screwed on for engraving each year's winner (each side can accommodate 6-8 years).